All CIRCLE G AT OCOTILLO PHAS homes currently listed for sale in Gilbert as of 04/22/2019 are shown below. You can change the search criteria at any time by pressing the 'Change Search' button below. "**PRICE REDUCED $100,000** Gorgeous home in popular CUSTOM CIRCLE G neighborhood for only $166.95/SF! 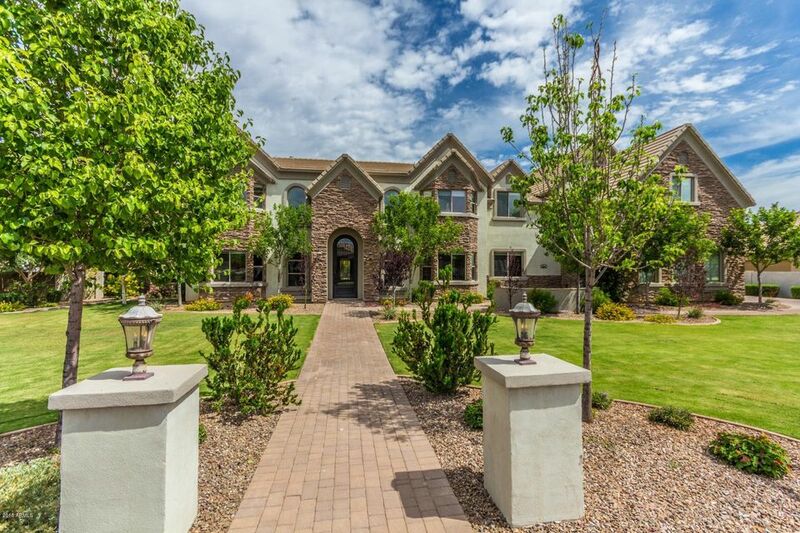 8 bed, 5.5 baths, formal entry, formal dining, HUGE kitch & family rm, den, loft, 3 storage rooms & large bonus room! Incredible backyard has pool/spa w/ slide/water fall, covered outdoor kitchen, pergola, large grassy play area, sports court, playset, outdoor fireplace & firepit, RV parking slab! Gourmet kitchen has granite, upgraded cabinets, wolf 6 burner stove w/ griddle, double oven, kitch "